No, this is not some metaphysical question. This question is one of a more pragmatic and practical nature. When are there good reasons to change from one service provider to another; whether you're looking at new cellular service, a different cable television provider, new car insurance, or a host of other monthly subscriptions? So, when is it a good idea to make a change from one provider to another? Here are some reasons for serious consideration. Cable television is one of the most competitive industries in America. The largest providers can generally offer the best deals for a variety of reasons. These companies own the largest data and telecom networks, have the best technology, and offer the widest range of programming options. As a result they've attracted millions of subscribers. This helps them stay rich and in return offer bigger and better services, like more HD channels, the most Video On Demand titles, and near-perfect records of providing the best overall service. Smaller cable operators usually lease and license services from the larger cable providers, which generally translate to higher prices for the same services you could get from a national provider. The biggest cable television operators in your area offer an array of deals, offers, packages, and bundling, that are very attractive. They can offer these great deals to you because they actually own the product they're delivering. 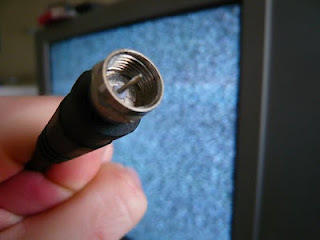 Why continue getting your premium home television service from a middleman when you can get the genuine article directly from the cable television provider offering it? This is a great reason to change cable television providers. Like cable television, automobile insurance is very competitive and the range of products and services offered is staggering if not daunting. It takes a true insurance professional to deal squarely with you and in plain language. 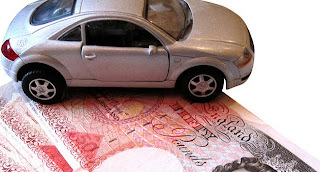 When it comes to auto insurance, it's not always about the lowest price per month. Cut-rate insurance comes with many limitations, the least of which is customer service. It's one thing to have the right levels of insurance, but what good is it if you really need assistance and you can't get anyone to answer your online message at some general information email address? Access to an insurance professional—not a telephone operator—is well worth the few extra dollars it will cost you each month. The largest insurance providers in the country use a blend of corporate offices and independent insurance agents to offer true "white glove" service. Independent insurance agents are often regular fixtures in their neighborhood. They shop at the local stores, know everyone in the local tavern, and are quick with a wave and a hello. Smaller re-sellers of insurance products generally don't have the time or resources to offer this level of service. Theirs is a numbers game, and the more policies they resell the better they'll do financially. They don't place value on lifetime relationships. If your current auto insurance comes from a reseller or insurance aggregator, you have to concern yourself with the ability to reach them when you really need them. Major insurance providers and their network of independent agents can give you the level of service at prices often cheaper than the "discount" bundlers. The level of service commitment is a great reason to consider changing insurance providers. Perhaps the most competitive of all is the cellular telephone industry. Because smartphones are really just very small computers with tremendous computing power, the range of products and services is impressive, but it comes at a cost. Cellular providers spend billions on research and development, which is why there's always something bigger and better around each new corner. These R&D costs are passed on to their subscribers, with inventory commitments made by the various resellers. As a result of these myriad relationships, opportunities abound for creative offers to be structured to attract new subscribers. Getting the latest and greatest smartphone is an easy process. One way is to reach into your pocket and pull out enough cash to buy one. In many instances this amount can be several hundred dollars per phone. Some people opt for this method because they avoid signing a service contract with the cellular service provider. The other method, and by far the most popular and successful, is to find a service provider who will subsidize the cost of the phone in exchange for signing a multi-year contract. All national cellular providers offer handset subsidies for service contracts. It's the industry standard that results in the latest technology getting delivered to tens of millions of subscribers at once. It also pushes smartphone application developers to stay creative, and to offer more as technology continues to step forward. If you want a particular smartphone and find a really great deal at a different service provider, you may have to decide if you're going to break your contract or not. The difference between the full retail price of the phone you want and the amount of the subsidy from the other cellular provider could prove to be beneficial. No matter which of your monthly services you're considering changing, there are a number of reasons for switching that make sense. Big savings, better service, and the most options are all great reasons to make a change. Tagg writes on behalf of CableTV.com – home of XFINITY TV Deals. He typically writes about finance and entertainment. When he’s not writing, he’s an avid soccer player and Bocce Ball enthusiast. You can follow him on Twitter @CableTV.